Richard Matheson, in case you missed the headlines, passed away on June 23rd. For me, his death came as one of those amazing coincidences that direct your line of reason towards the possibility that maybe the universe isn't so random after all. I got the news at a half-hour to midnight. At the moment I was trying in vain to get some sleep, as I had to be up at five the next morning. From time to time, I pulled my copy of I am Legend from my bedside table, which I was reading for the first time since high school. It was the fifth Matheson book I'd read in a row. The one good thing about the death of great writers is that their passing is usually followed by a rediscovery on behalf of the reading public. I'd like to contribute to this in my own small way, so take my advice: if you like horror fiction, check this man out. Ray Bradbury called Matheson one of the most important writers of the twentieth century. In terms of storytelling power, I would say that Matheson was about seven tenths as good as Bradbury (though thankfully, his style is missing that reactionary element that marks so much of Bradbury's work). Brian Lumley and Stephen King continue to cite him as their greatest influence. Anne Rice credits his story 'Dress of White Silk' for sparking her interest at a young age. Even George Romero claims that his zombies were born as Matheson's vampires. 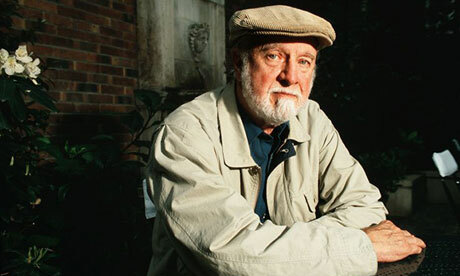 In light of all this praise, I've always wondered why Richard Matheson isn't more of a household name. It's surely not due to inaccessibility, as all his stories take place on Main St., America. Also, it's not like he was ignored by Hollywood. When he was writing for The Twilight Zone, he flew his stories straight into the pop-cultural lexicon. Even if you've never seen 'Nightmare at 20,000 Feet,' you've heard a joke or two about the gremlin on the wing, maliciously tearing up the jet engine. On top of that, a quarter of his books were turned into major movies. Sadly, most bear only a superficial resemblance to their source material. So why has he remained underground while his children have flourished in broad daylight? Who knows. All I can say is I hope that, like the discorporated narrator of What Dreams May Come, now that he's gone to Summerland, he can replenish himself for a fresh return.